In our previous post "Intro to Hazard Communication, Part One," we provided an introductory primer for those of you who may be new to HazCom and needed a little help getting oriented. This post will pick up where our previous one left off, and help you continue on your HazCom journey. Please feel free to revisit the original post if you’d like to refresh your memory. We’ll wait right here. All set? Great, let’s carry on, and look deeper into the steps you can take to ensure that your HazCom program is in compliance with OSHA requirements, and helps protect the safety of your entire workforce. You don’t usually find this listed as the first step in a HazCom management plan. That’s why those plans so often fail. Think about it, though — managing HazCom is a big task, and you can’t do it all by yourself. You’re going to need to collaborate with people who know what chemicals are at your facility, and who can tell you when new chemicals arrive. Even better, you’ll want to know if plant personnel are considering new chemicals before they buy them so you can review the necessary hazards and safety precautions, and make a decision about whether to allow the chemical into your workplace. Good communication with your Purchasing Department is really your first line of defense in the HazCom management game. Work with your Purchasing Department reps to make sure there is a clear procurement policy in place, so that any planned orders for new chemicals go through a comprehensive review and approval process first. Of course, not every chemical arrives through a formal purchasing process, so a procurement policy won’t solve all of your problems – but it’s certainly a good start! Individuals who hold this position will have a good sense of what chemicals are used and stored throughout your facility, because the nature of their work familiarizes them with all work areas and equipment. Because they’re not a formal part of production processes, they may very well notice containers of chemicals that have just become invisible parts of the workplace background to supervisors and employees who work in these areas every day. They’ll also be able to tell you a great deal about the specific chemicals used in maintenance activities, which is great, because those are the types of chemicals that frequently fly under the radar. You’ll find that department supervisors are great partners in HazCom management. They’re dialed in to plans to bring new chemicals into the facility, and know about all of the ways chemicals are used and stored. They’re also more likely to know when employees buy chemicals over-the-counter from industrial supply stores – a situation that often causes chemical products to “sneak in” without formal review or approval. Establish good relationships with all supervisors. Ask if you can stop by their department safety meetings and speak to their workers about HazCom. As you develop a relationship with them, you’ll probably find that they appreciate your involvement and will seek you out to provide you with new information or ask for your input, which will be a great help to your management program. Your HazCom management success depends on the active involvement of your workforce, and their buy-in to your EHS culture. No one is better positioned to understand everyday issues involving chemical safety than your workers, because no one is as familiar with all aspects of their jobs as they are. Safety committees or teams are therefore an excellent resource for you as you begin structuring your HazCom management program. Deputize your team to perform chemical inspections, to model good HazCom awareness, and to bring you information you’ll need to keep your chemical inventory and management program accurate and up-to-date. On paper, lots of people involve upper management in their HazCom program. After all, look at most written HazCom plans, and you’ll see the names and signatures of important people right there. But in my experience, most of those people weren’t actually involved in the development of management plans, and may not even be familiar with the contents of the plans. Some may prefer that situation, appreciating that the C-suite trusts them to get things done right without feeling the need to get into the weeds themselves. The only problem with that approach is, based on my experience, you’re unlikely to do things right without some involvement from top management. There are a few reasons for this, but perhaps the biggest one is that when executives demonstrate active knowledge of your HazCom practices, they are communicating to everyone they encounter that HazCom matters. Conversely, when employees perceive that upper management doesn’t know much or talk much about HazCom, they conclude that it’s not so important after all. Of course, it can be difficult to get a significant commitment from the executive wing, and you’ll need to respect their time. But I think you’ll find that if you ask for at least some input from them in developing plans, they’ll take more ownership of them and advocate for the success of your program. I hope it’s immediately obvious why this is such an important step. You can’t manage HazCom if you don’t know what chemicals you have in the workplace, but knowing what you have isn’t as easy as it may seem. During my time in consulting, I rarely encountered facilities where there were not at least some “surprise” chemicals lurking somewhere, and some of them were quite dangerous and had several regulatory considerations. As mentioned earlier, a good relationship with Purchasing and a sound procurement policy will head off many of your potential problems here. You’ll be able to identify hazards, proper handling and storage considerations before the chemicals ever even cross your threshold, and be able to plan accordingly. Of course, it’s not just knowing what you have that matters – it’s also understanding what you have, in terms of the specific hazards and regulatory considerations required to properly manage the chemicals. Let me give you a couple of examples to help demonstrate this important point. 1) EPA defines some chemicals as Extremely Hazardous Substances (EHSs) and subjects them to planning, notification and reporting requirements under the Emergency Planning and Community Right-to-Know Act (EPCRA). If you store amounts of these chemicals above the threshold planning quantities (TPQs) in the table in Appendix A to Part 355 , you’ll need to notify your State Emergency Response Commission (SERC), your Local Emergency Planning Committee (LEPC), and local fire department within 3 months. If the amount of the EHS exceeds 500 pounds or the TPQ (whichever is lower) at any one time during the calendar year, you need to complete a Tier II report and submit to your SERC, LEPC, and local fire department by March 1 of the following year. Because it doesn’t take very much of an EHS to trigger these requirements, you’ll need to be very aware of which products in your inventory are EHSs or contain them as ingredients, and how much of them you have in your facility at one time. Pop quiz: How much sulfuric acid do you have in your facility right now? You might not be aware that you have any at all, but if you have lead-acid forklift batteries, you do indeed – and probably enough to trigger regulatory requirements. Given that larger batteries may weigh around 2,400 pounds and contain 18% sulfuric acid by weight, storing just a couple of batteries on hand may be enough to trigger Tier II reporting and emergency planning/notification requirements. 2) Over the years, regulatory agencies have often recognized chemicals that pose especially significant hazards, and target them for specific requirements to protect human safety and the environment. Methylene chloride is one example. Evidence has linked exposure to methylene chloride with increased cancer risks and adverse effects to organs such as the heart and liver. In my experience, it’s another example of a chemical that many people don’t know they have hiding in their inventory. When I used to do environmental compliance audits for manufacturing facilities, I always made a habit of checking the ingredients on aerosol cans of degreasing sprays. Methylene chloride was an ingredient in these sprays fairly often. Facility managers rarely knew that methylene chloride was present since there was nothing about the name of the chemical product that provided an obvious clue. Because they didn’t know they had it, they couldn’t demonstrate they were in compliance with OSHA’s methylene chloride standard, which requires employers to determine whether any employee exposures exceed the action level (AL) of 12.5 parts per million (ppm), measured as a time-weighted average (TWA) in the air, and to take various protective measures when employees exposures exceed the AL. It should be noted that EPA has also recently proposed taking its own separate measures regarding methylene chloride, so the regulatory burden of having this chemical in your workplace may get even bigger. I hope these examples demonstrate the critical importance of understanding what chemicals you have, not only down to the container level but also down to the ingredient level. To help you anticipate and avoid these risks, it would be wise to consider a chemical management software solution that features ingredient indexing capabilities. Such capabilities give you the visibility you need to manage HazCom properly and meet regulatory requirements triggered by these and other ingredients that may be present in the products you use in the workplace. Once you have a good understanding of the chemicals in your inventory, you can proceed to the next step, which is to harmonize your management of that inventory and its chemical hazards. This is where you’ll make sure you have an SDS for every chemical in your inventory, and request any missing documents from your chemical suppliers. You may need to request new documents from the supplier if you only have old-format material safety data sheets (MSDSs) instead of the 16-section SDS format required under OSHA’s HazCom 2012 Standard. You may also need to request new documents if you have reason to think that the documents you have are not the most recent versions. This might seem like a burden at first. But in reality, it’s the only way to really be sure you have accurate hazard information for all of your chemicals. If you’ve ever dealt with strong acids like sulfuric acid, you know that there’s a big difference between a concentrated or highly dilute solution, and it can make the difference between skin irritation and a severe burn causing permanent tissue damage. The only way to remove ambiguity that you’re dealing with the same chemical at the same concentration, with the same hazards, is to have an SDS from every supplier who send you the chemical. The product identifier is one of the keys to effective HazCom management. Make sure it matches for each chemical across your chemical inventory list, your SDS library, the shipped container labels, and any secondary container (aka “workplace”) labels. This will help avoid confusing scenarios, such as one I’ve encountered in which a “nickname” like “Solvent A” is used for a chemical on secondary container labels in lieu of the product identifier listed on the shipped container label and SDS. This creates ambiguity in the minds of employees seeking the SDS for that chemical, and ambiguity is one of the last things you want when it comes to chemical safety. Make a Plan, and Then Fix the Plan! You’re going to need a written HazCom Plan. Notice that this isn’t necessarily the first step you should take when trying to master your HazCom obligations, because in my experience, you are unlikely to be able to write even a halfway decent plan unless you’ve already built a good management team, familiarized yourself with your chemical inventory, and taken some steps to harmonize your program. Your HazCom Plan is your playbook, and needs to reflect the specific chemical hazards and HazCom management policies at your facility. This brings me to one of the most common pitfalls I’ve seen with HazCom compliance, which is having a written plan that is not sufficiently site-specific. Yes, there are HazCom Plan templates out there, and it’s easy to download them, fill in a few blanks and wind up with something resembling a completed plan, but don’t fool yourself – it takes time to develop a plan that is adequately detailed and tailored to your workplace to comply with OSHA’s requirements. There are some better templates available that actually provide some of the prompts and guidance you’ll need to develop a fully site-specific plan. It’s OK if your plan isn’t perfect at first. The key in the beginning is to just go through the exercise of trying to accurately describe your HazCom management practices, get it all down in a draft document, and then refine it later. The fact is, your written HazCom Plan will always be a work in progress in some sense, because you’ll need to update it each time you make a major change to your program, such as by introducing a new kind of hazard (bringing a chemical into your workplace for the first time) or changing details about your workplace labeling system. In fact, you’re more likely to be in compliance in the long run if you realize that you’re going to need to revisit and revise your Plan. Many people spend the effort to write a HazCom Plan only to end up with a static document that just gathers dust and doesn’t change as their HazCom management practices change – something that OSHA will be checking if they visit your workplace. Remember back to when we first started you on your HazCom journey. We talked to you about the “bad old days” when workers quite often had little available information regarding the chemicals they worked with, and the workplace was a dangerous place to be. One of the main ways OSHA sought to address that was by requiring manufacturers to develop SDSs and to provide them to downstream users. Employers must then maintain the SDSs received from suppliers, and provide their employees with “right to know” access to their SDS library. 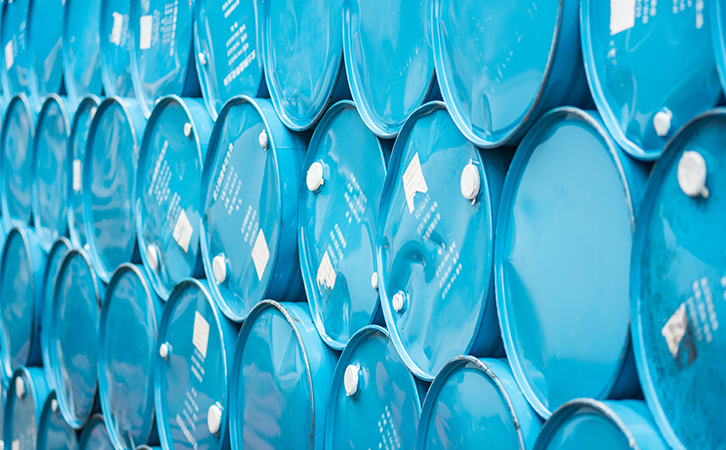 If you are a chemical manufacturer, you’ll need to develop SDS for your chemicals in the required 16-section format and provide them with initial shipments of chemicals. You’ll also need to provide SDSs with the next shipment after updating the document, or whenever requested by a downstream user. If you’re an employer/end user, remember that your SDSs must be available to workers during their workshifts, with no barriers to access. Some well-intentioned individuals place binders of SDSs in a “right-to-know station” in a supervisor’s office, not realizing that the supervisor may lock her office when she goes to lunch, thereby preventing workers from accessing the documents! OSHA has specifically allowed for the use of internet or software-based systems to provide access to SDSs, as long as the system provides access to the specific SDSs for chemicals at your facility. OSHA states that you cannot provide access by telling your employees to perform an internet search using an engine like Google or Bing, because you have no control over the outcome of the search results. An employee might find the chemical used in your facility, or a similar-sounding but different chemical made by a different supplier. There is also no way to determine whether or not that document is the most current and accurate version of the SDS. The real test is whether your system is able to provide quick access to SDSs. How quick? Well, think of how quickly you’d like to be able to retrieve an SDS in the event of a major chemical spill, fire, or other emergency, and now ask how well your current system would be able to perform. If you have concerns there, you should strongly consider a system that can cut down response time to mere seconds, such as a cloud-based SDS management system. Training is one of the other main ways we avoid the “bad old days” when employees didn’t have proper awareness of chemical hazards in their workplace. To do training right, however, you’ll want to avoid some of the pitfalls that undermine so many HazCom training efforts. Let’s get one thing out of the way right now: Ignore any talk you hear about “annual training.” Many people I’ve encountered over the years speak earnestly about the need to do annual HazCom training as if it’s a requirement within the HazCom standard. They judiciously perform their training at the same time every year, and believe in all seriousness they’re meeting their obligations. The problem is, this “annual training” mindset negatively impacts compliance and jeopardizes their HazCom management success. For one thing, OSHA doesn’t say you need to conduct training annually – they say (in 1910.1200 (h) (1)) that you need to conduct it at the time of initial work assignment, and “whenever a new chemical hazard the employees have not previously been trained about is introduced into their work area.” You should also provide it whenever there is evidence that the training was ineffective – for instance, if employees don’t know where or how to access SDSs, and are unable to find emergency response information on an SDS. Now you can begin to see the problem. The annual training mindset risks fossilizing your training program – causing you to trot out the same old deck year after year, instead of updating it when new chemical hazards are brought onsite and redoing it when actually needed. This makes for poor compliance and bad HazCom safety awareness. For related reasons, don’t convince yourself that you can demonstrate compliance just by proving you’ve done the training. You need to do the training, of course, and documenting it is a fine idea, but it doesn’t necessarily mean you’ve met your obligations. The most important thing is that employees understand the training. As OSHA states in a fact sheet on the 2012 HazCom final rule: “The Hazard Communication Standard in 1983 gave workers the ‘right to know,’ but the new Globally Harmonized System gives workers the ‘right to understand.’” OSHA judges training compliance on a performance basis, meaning that they’ll only be convinced you’ve met their requirements if employees can demonstrate they actually understood the training. That being said, you should absolutely document your training. OSHA recommends documenting specific aspects of training such as the outline of the training program, the identification of employees who attended and of the trainers, test or evaluation results, and dates that training was conducted. This information will help you determine when you may need to repeat training. For instance, if you know you last conducted training in February 2018, but you introduced a new chemical hazard class in May 2018, that means you never trained your employees on that hazard class and should retrain them as soon as possible. You should also make sure that your training covers the details of label management at your facility. Labels are a particularly tricky aspect of HazCom compliance and merit some significant discussion of their own, so be sure to watch for that in a future installment of our “Intro to Hazard Communication” series! Until next time, be safe. VelocityEHS offers a comprehensive suite of solutions and services to help you simplify even your most complex HazCom management tasks. Our MSDSonline SDS & Chemical Management platform can give you total visibility and control over the chemicals in your inventory, making it easy to give your entire workforce access to SDSs anytime, anywhere. In addition, MSDSonline’s chemical ingredient indexing features help you understand precisely what’s in your chemical products, and flag ingredients that are subject to regulatory requirements, such as EPCRA. Need help meeting EPCRA requirements? MSDSonline can track the status and use of chemical products in your inventory and generate electronic Tier II forms that you can submit directly via EPA’s Tier2 Submit application. MSDSonline’s Plan1 First Responder Share Service also facilitates the sharing of chemical location and inventory information with local emergency-response agencies, helping to better safeguard first-responders, workers, facilities and the surrounding communities. For additional help with EPCRA compliance, download our Tier II Cheat Sheet, or check out our on-demand Tier II webinar. Need help completing or updating your chemical inventory? Let us do the heavy lifting by using our On-Site Chemical Inventory Audit service. We’ll send an experienced chemical safety expert to your location to create a site-specific chemical inventory just for you. During the audit process, we’ll capture each chemical’s Product Name, Manufacturer, and Product Code (if applicable) and where each product resides at your location, giving you an accurate snapshot of your entire chemical footprint. Looking for an easier way to deliver HazCom training? Take a look at our on-demand training solutions that give you and your people access to expert-designed training courses covering OSHA’s adoption of GHS, HazCom compliance and wide range of EHS topics, along with tracking and reporting features that simplify training documentation and management. Are you uncertain about your SDS authoring and labeling requirements, or do you have concerns about compliance? Contact the MSDSonline Authoring Services Team to learn how we can help you. We offer expert SDS and label authoring services that let you take the time, cost and guesswork out of HazCom compliance. Combined with our comprehensive suite of Regulatory Consulting Services, including SDS Compliance Check, we’ll help you ensure your SDSs and labels are fully aligned with OSHA’s HazCom requirements. To learn more, contact us or give us a call at 1.888.362.2007.